Paint the base coat with any pastel polish. Here I used THIS ONE for the blue. And top it off with THIS GLITTERY GOODNESS by Deborah Lippman. I’ve never been able to find a glitter polish quite like this one. 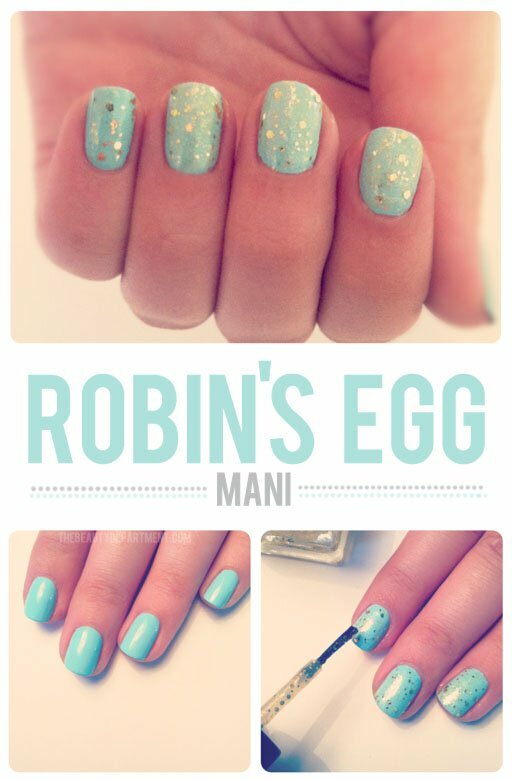 It’s got several sizes of glitter in one bottle which is what give it the robin’s egg look.